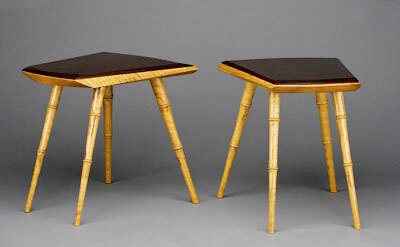 Bob Kopf insists that he is not an artist, but a furniture maker. While his work and his articles on process have appeared in major publications, Kopf’s craft is essentially a self-taught. His work is infused with a deep-seated respect for the materials, the tools, the process and the furniture’s human function. In fact, he considers his greatest compliment to have come from the family that told him that all of their major decisions were made at one of his tables. 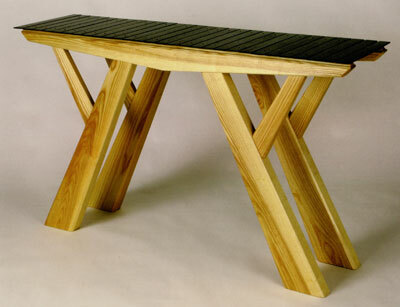 As a designer, Bob is strongly influenced by British woodworker David Pye, who wrote that a well-designed object needs to be visually pleasing as a “general form” seen from a distance, and that more pleasing details become apparent as the object is approached, until the smallest and most subtle details reveal themselves upon close examination. Perhaps for this reason, Bob prefers to work almost entirely with hand tools, because the process creates small “deviations” that energize the entire piece.